As 2014 comes to a close, the three major cable news networks are releasing their year-end ratings reports, each with its own spin on what made this year so fantastic. As always, Fox News remains far out in the lead ahead of its competition, which means the real battle is for second place between CNN and MSNBC. While both networks truly did have something to celebrate in 2013, this past year saw far more good news for CNN than it did for MSNBC, which, even in a midterm election year, struggled to stay in the game. Below is a breakdown of highlights from the year in cable news ratings, by network. Marking 13 years at #1, Fox News was up about 2% in 2014 to an average 300K viewers per night in the demo favored by cable news advertisers. In total viewers for primetime, Fox nearly tripled its nearest competition with 1.748M. In fact, in weekday primetime, Fox was the #2 highest-rated network across all of cable behind only ESPN and ahead of networks like USA and TNT. The network was down 4% in total day with 1.050M total viewers and 213K in the demo. Fox claimed the top 14 spots on the list of highest-rated cable news programs in total viewers and nine of the top 10 spots in the demo (MSNBC’s The Rachel Maddow Show was #15 in total while CNBC’s Shark Tank was #10 in the demo). 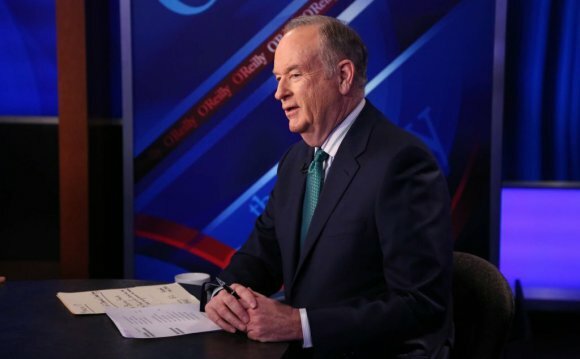 For the 15th consecutive year, The O’Reilly Factor topped both lists with an averaged 426K in the demo and 2.667M total viewers. Meanwhile, The Kelly File clocked in at #2 on both lists and was the only cable news show that saw year-over-year gains in both the demo (up 5% to 374K) and total viewers (up 10% to 2.204K). The Five came in third place overall with 324K in the demo and 2.057M total viewers. While last year, CNN could only celebrate a daytime victory over MSNBC, this year the network’s press release trumpets, “CNN ENDS 2014 FIRMLY AHEAD OF MSNBC.” It was the first time since 2011 that CNN has ranked #2 in total day in both total viewers and the demo and the first time since 2008 that the network beat MSNBC in the primetime demo. In primetime, CNN was down 9% compared to 2013 in total viewers with 515K but dropped just 1% in the demo to 181K. In total day, CNN was down 3% in total viewers to 399K and down 4% in the demo to 126K. Among CNN’s big victories over MSNBC was New Day, which beat Morning Joe in the demo (104K to 101K). The relatively new morning show was up 8% compared to 2013 in total viewers, while Morning Joe was down 15% and Fox & Friends dropped 7%. Outside of the 8-11 p.m. primetime hours, The Lead with Jake Tapper at 4 p.m., The Situation Room with Wolf Blitzer from 5-7 p.m. and Erin Burnett OutFront at 7 p.m. each beat their respective MSNBC competition in the demo. CNN Tonight was the highest-rated show in the demo with an average 210K viewers while Anderson Cooper 360 led in total viewers with 597K (not counting the occasional airing of The Sixties, which averaged 650K total viewers). CNN also had the youngest audience in cable news, with a median age of 58, compared to 61 for MSNBC and 68 for Fox.